How do you keep your blood pressure in the safe zone? It’s usually possible to find a blood pressure medication (or medications) that can do the job with minimal side effects. Doctors most often will prescribe a blood pressure medication from one of five categories: ACE inhibitors, ARBs, beta blockers, CCBs, and diuretics. A third or more of Americans have high blood pressure, or hypertension. What is high blood pressure? When the heart pumps, the pressure against the walls of your arteries is abnormally high. The excess pressure, if not controlled, puts you at risk for heart attack, stroke, kidney damage, and other serious health problems. The foundation of treatment is lifestyle change—such as eating a healthy diet and exercising regularly—to keep blood pressure in the recommended healthy range. But sometimes lifestyle change falls short and you may need to consider taking a pressure-lowering medication. A wide variety of blood pressure medications are available to consumers. Various types of blood pressure medication work in different ways. 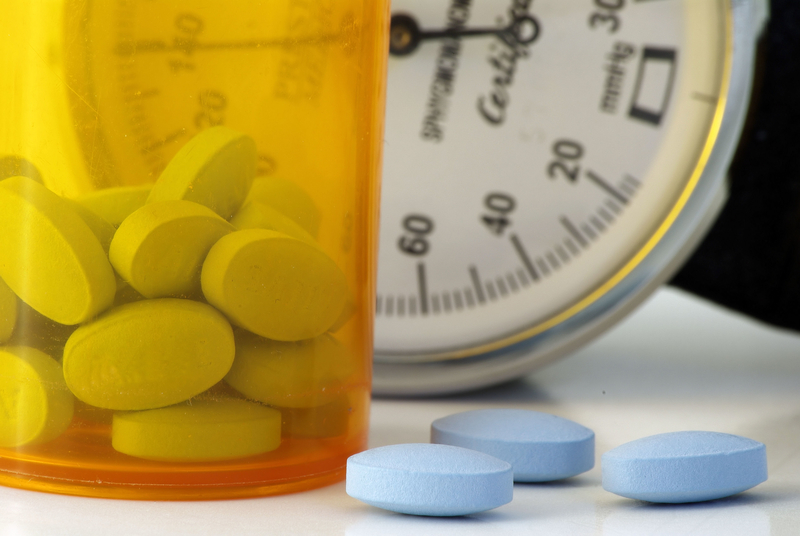 Depending on the severity of your high blood pressure, it may take more than one medication. Combining multiple drugs at lower doses helps to limit side effects while achieving your blood pressure goals. THE “RIGHT” BLOOD PRESSURE RANGE? You may remember the late 2017 headlines trumpeting revised recommendations for blood pressure levels. The American Heart Association and American College of Cardiology recommends a new standard by which the high blood pressure threshold lowers from from 140/90 to 130/80. Not all physicians are in agreement, however. For details, see our post New Hypertension Guidelines: Rethinking Blood Pressure Standards. Blood pressure medications fall into separate groups, or classes, based on how they act in the body to lower blood pressure. The body has a variety of ways to regulate blood pressure—continuously tweaking your system to keep the pressure neither too high nor too low. Some blood pressure medications act directly on the heart or nervous system, while others target the arteries or kidneys. Below are the five most commonly prescribed blood pressure medications. If you are diagnosed with high blood pressure, your doctor likely will choose from one or more of these categories to start your therapy. ACE inhibitors: Angiotensin-converting enzyme (ACE) inhibitors prevent the body from producing a hormone, angiotensin converting enzyme, which normally tightens and narrows the arteries. Turning down the tap on ACE lowers blood pressure (and can also prevent kidney damage in people with diabetes). Side effects of ACE inhibitors include a dry, hacking cough that goes away if you stop taking the drug. Less common side effects include dry mouth, nausea, rash, muscle pain, and elevated potassium. A rare but dangerous side effect of ACE inhibitors is angioedema, or swelling of the lips, tongue, and throat that can interfere with breathing. Examples of ACE inhibitors include benazepril (Lotensin), captopril (Capoten), enalapril (Vasotec), fosinopril (Monopril), lisinopril (Prinivil, Zestril), moexipril (Univasc), perindopril (Aceon), Quinapril (Accupril), Ramipril (Altace), and Trandolapril (Mavik). ARBs: Angiotension II receptor blockers (ARBs) block a hormone (angiotensin) that normally narrows blood vessels, thus lowering blood pressure. Doctors generally use ARBs to substitute for an ACE inhibitor (if the ACE causes side effects). Potential side effects of ARBs include abdominal pain, dry mouth, headache, and nausea. They are less likely to cause angioedema than are ACE inhibitors. Examples of ARBs include azilsartan (Edarbi), candesartan (Atacand), eprosartan (Teveten), irbesarten (Avapro), losartin (Cozaar), olmesartan (Benicar), telmisartan (Micardis), and valsartan (Diovan). Beta blockers: These medications make the heart beat slower and with less force, which lowers blood pressure. Common side effects may include fatigue, cold hands and feet, or weight gain. Beta blockers can have a variety of effects on heart and lung function, which makes them potentially risky for people with certain health conditions, such as asthma and peripheral vascular disease. Also, once you’re taking a beta blocker, you can’t suddenly stop taking it, since this could cause a heart attack. On the plus side, beta blockers can be helpful in people with certain health conditions, like angina (chest pain) or atrial fibrillation (abnormal heart rhythm). In such cases, your doctor may include a beta blocker in your blood pressure medication therapy. Examples of beta blockers include atenolol (Tenormin), bisoprolol fumarate (Zebeta), carvedilol (Coreg), esmilol (Brevibloc), labetalol (Trandate, Normodyne), metoprolol (Lopressor), metoprolol (Toprol), nadolol (Corgard), nebivolol (Bystolic), penbutolol (Levatol), propranolol (Inderal), and sotalol (Betapace). CCBs: Calcium channel blockers (CCBs) keep calcium from entering the muscle in the heart and arteries. 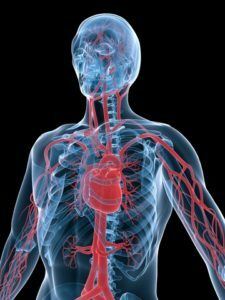 The arteries relax and widen, causing blood pressure to fall. The possible side effects of calcium channel blockers depend on the type used and the dose. Possible side effects of dihydropyridine-type CCBs include dizziness, flushing, headaches, nausea, swelling in the legs, and overgrowth of gum tissue. For nondihydropyridine-type CCBs, potential side effects include headache, nausea, and slowed heart rate. Examples of calcium channel blockers include amlodipine (Norvasc, Lotrel), clevidipine (Cleviprex), diltiazem (Cardizem, Dilacor, Tiazac), felodipine (Plendil), isradipine (DynaCirc), nicardipine (Cardene), nifedipine (Adalat, Procardia) nimodipine (Nimotop, Nymalize), nisoldipine (Sular), and verapamil (Calan, Isoptin, Verelan, Covera). Diuretics: These medications, also known as “water pills,” make the kidneys excrete more water and sodium. As a result, the total fluid in circulation falls and, with it, blood pressure. A type called thiazide diuretics are most commonly used for high blood pressure. Potential side effects of thiazide diuretics is temporary low blood potassium, which can cause leg cramps, fatigue, constipation, and changes in blood sugar levels. Examples of thiazide diuretics prescribed for high blood pressure include chlorothiazide (Diuril), the hydrochlorothiazide (HCTZ) medications (such as Esidrix, Hydrodiuril, and Microzide), and indapamide (Lozol). Combination pills: Pharmaceutical manufacturers have developed pills that combine blood pressure medications often prescribed together. Adhering to multi-drug regimens can be challenging, and many patients are unable to take their medications as directed. Combination pills can make it more convenient to stick to a daily regimen of multiple drugs, helping to improve control of blood pressure. It’s hard to predict which blood pressure medication (or medications) will work best for you. The five categories that doctors use most often to treat high blood pressure—ACE inhibitors, ARBs, beta blockers, CCBs, and diuretics—are equally effective. Overall, they’re known to lower blood pressure in up to 50 percent of patients. Still, the responses of individuals vary considerably. That means a drug that falls short for another person may work better for you. The ultimate goal of treatment is to find the blood pressure medication (or medications) that gets your high blood pressure under control but is “well tolerated.” That means that the side effects (if any) of the medication are acceptable to you and are not a major impediment to you sticking to therapy. In selecting medications, your doctor will consider any existing health conditions you have and other medications you are taking. Depending on these factors, some blood pressure medications may not be a good fit for you. For example, if you already struggle with constipation, taking a diuretic could make it worse. Factors such as age, race, other health conditions, and gender can also influence drug choices. What If You Have Mildly High Blood Pressure? For mild high blood pressure, it’s common to start with a single drug—either a thiazide diuretic, a CCB, or an ACE inhibitor. (Beta blockers are usually not the first choice, but may be added later.) If the response is inadequate, the can raise the drug dose a bit. If that doesn’t work, it may be necessary to add a second type of medication. In cases of treatment-resistant high blood pressure, it can take three or even four medications to get pressures under control. Anyone can experience a side effect from any blood pressure medication. It’s difficult to predict. The number of different kinds of side effects are numerous, although some are more common than others. Your doctor will tell you what to watch out for and instruct you what to do if you have a bad reaction to a new medication. Fortunately, there are many different medications to choose from. a heart attack, abdominal pain, accupril, ace inhibitors, add, angina, angiotensin, asthma, atrial fibrillation, beta blockers, blood pressure, blood pressure levels, blood pressure medication, blood pressure medications, blood sugar, blood sugar levels, calcium, calcium channel blockers, candesartan, cardiology, chest pain, chlorothiazide, cold hands and feet, constipation, covera, cramps, diabetes, diet, dilacor, diuretic, dizziness, for high blood pressure, have high blood pressure, headache and nausea, headache nausea, headaches, health, health problems, healthy diet, heart attack, high blood pressure, hormone, hypertension, hypertension guidelines, is high blood pressure, lower blood pressure, lowering blood pressure, lozol, microzide, muscle, muscle pain, new hypertension guidelines, pain, people with diabetes, potassium, procardia, side effects, side effects of thiazide diuretics, stroke, sugar, sugar levels, thiazide, thiazide diuretics, tiazac, to lower blood pressure, treat high blood pressure, vascular disease, verelan, weight gain, what is high blood pressure, zebeta. I thought you might be interested in this article on https://universityhealthnews.com: Blood Pressure Medication: Which Is the Right One for You?